This is a recreation of one of our favourite dishes from our favourite Chinese restaurant (see another recreation from that restaurant here). 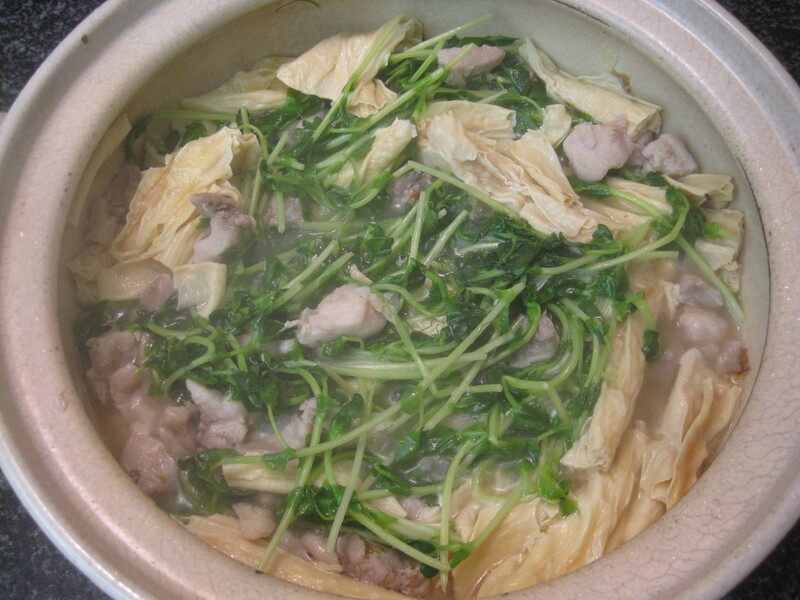 It is an easy, one-pot meal that is cooked in a Chinese clay pot. 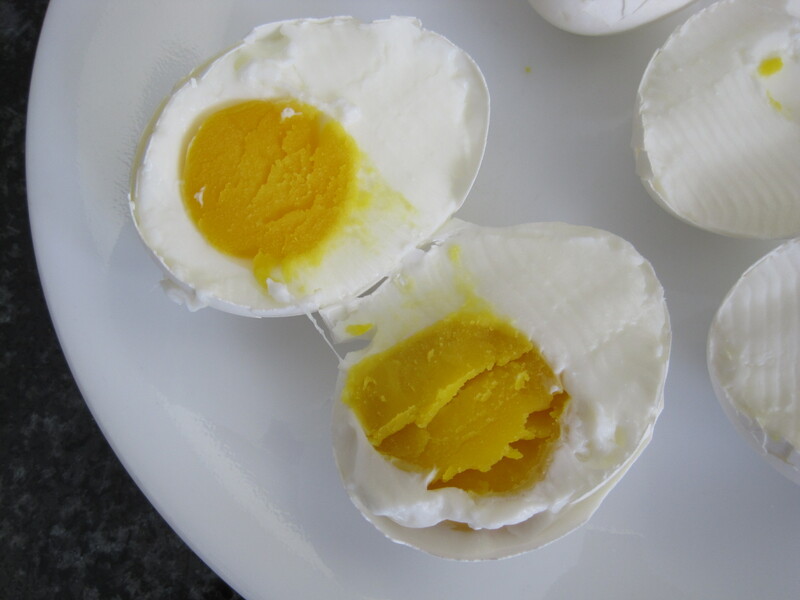 It is fresh tasting, light, and healthy. If you aren’t able to find young pea shoot sprouts, you could substitute with baby bok choy, but believe me when I say that the dish just won’t be the same. 1. The dipping sauce is delicious and addictive. It’s very flavourful and the perfect compliment to the otherwise bland chicken and cucumbers. My family and I can’t get enough of it. 2. This meal is cost effective to make, because you use chicken that has the skin on and bone in. 4. It’s easy to make. 5. This recipe makes a lot, so you can feed a lot of people or use the leftovers for tortilla wraps or rice paper rolls (see my rice paper rolls recipe here). 6. This can be served warm or cold, so it can be made in advance. 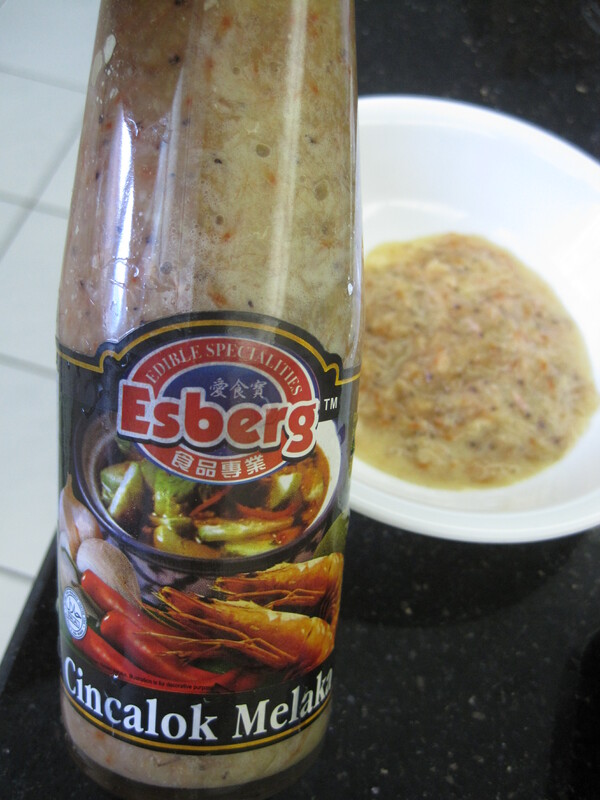 Traditionally, this is served alongside other dishes with white rice. But if you wanted to turn this dish into a complete meal on its own, you could try this variation: Toss together the shredded chicken, sauce, and thinly julienned cucumbers, along with added cilantro, thinly julienned carrots, and thinly sliced green onions, and serve on top of boiled and drained, thin vermicelli rice noodles. Update: I made this for my dad’s company pot luck and people from all different backgrounds loved it, even the two pickiest eaters there. Cooking chicken by boiling or poaching is easy and great for making healthy, oil-free, meals. It may sound bland, but this results in deliciously moist meat and a pot of chicken stock. When boiling or poaching chicken, you want to use meat that still has the skin on and the bone in, so you can purchase cheaper cuts of meat and save money while eating healthy. You can boil a whole chicken or pieces of chicken. 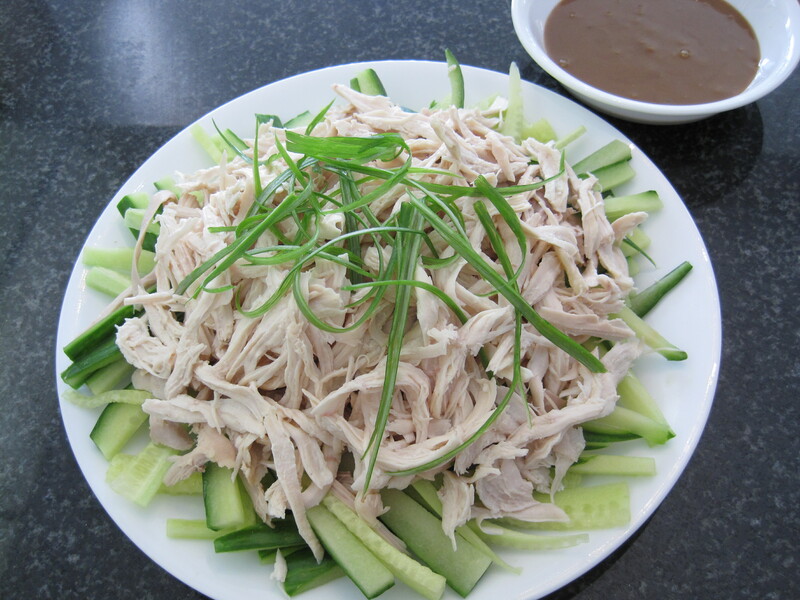 Shred the cooked meat and use it in salads, sandwiches, wraps, soup or, my favourite, bang bang chicken (recipe here). 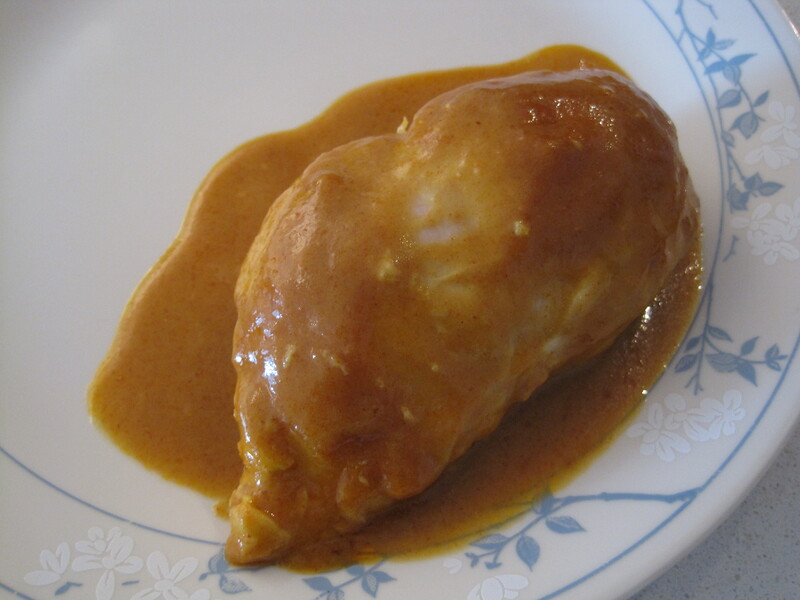 Another healthy and simple way to cook chicken is by steaming (see recipe here). This is a very easy and delicious recipe that comes from the famous momofuku restaurant’s cookbook by David Chang. 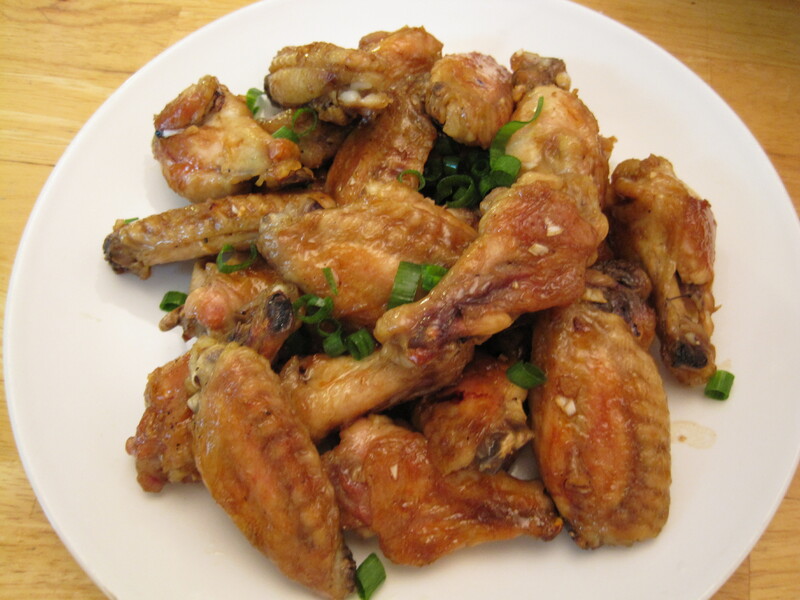 I made this for Krystal and Ed as a late night snack the last time they visited, and they were still talking about these wings a few days after they had gone home. I usually prefer deep fried chicken wings over oven-baked wings, but this vinaigrette was so good, that I didn’t miss the deep fried at all. 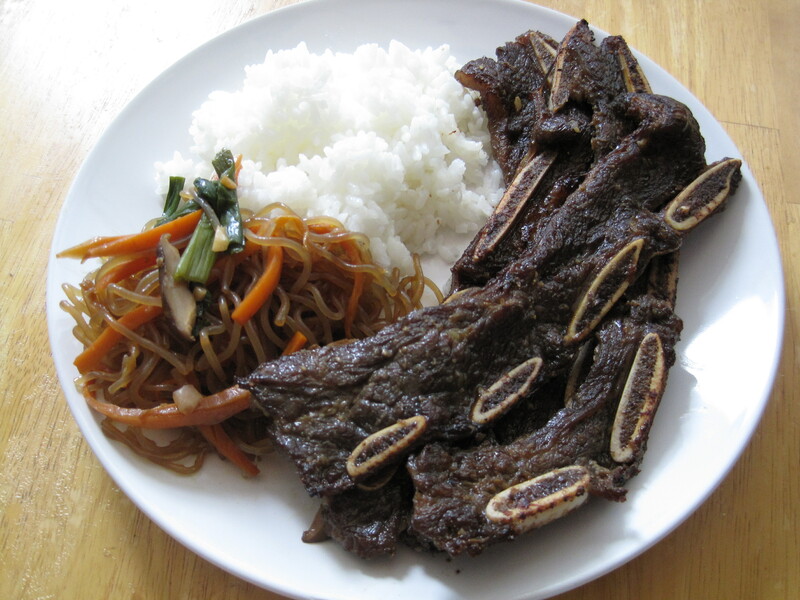 One of my favourite Korean foods is kalbi/galbi (BBQ beef short ribs). Luckily, these are incredibly easy to make at home, but it might take a few tries to master the timing for the perfect doneness, because these can be tough and too chewy if they are overcooked or undercooked (a tiny bit of pink is perfect in my opinion). These are best cooked over a charcoal BBQ, but any grill or cast iron pan will work too. Every home and restaurant makes their kalbi slightly differently (some even using Coke and/or Sprite) so adjust the sweetness and saltiness to your taste. This is best served with Japanese rice (sticky rice) and kimchi. The side shown above is chap chae, a Korean glass noodle dish (recipe here). 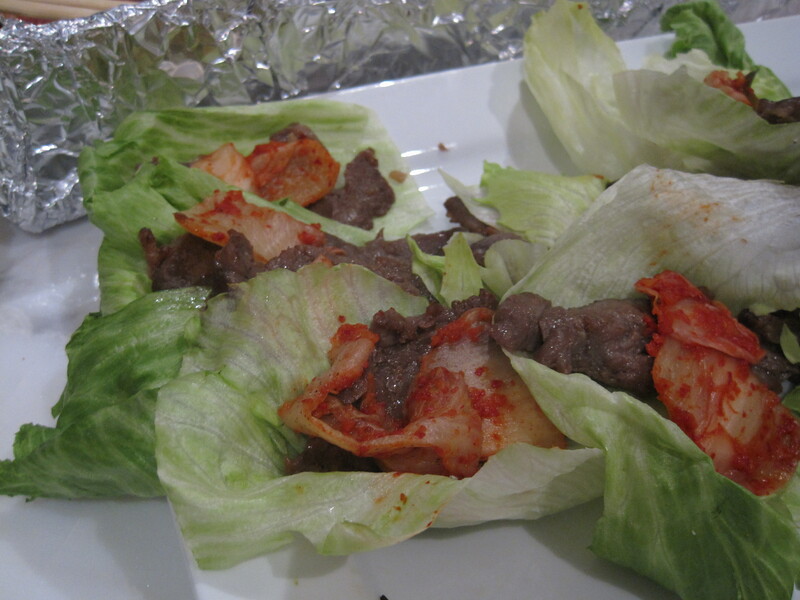 For John’s house warming party, I made thinly sliced prime rib using this recipe and served them in lettuce wraps with kimchi. They were one of the party favourites. 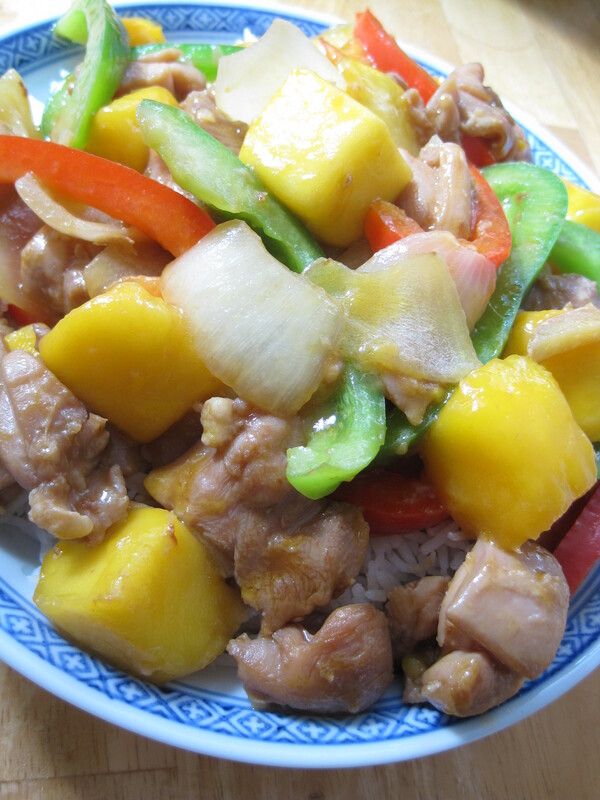 My favourite mango chicken dish is surprisingly simple and is served at the restaurant, Magic Wok in Markham, ON. They stir fry pieces of chicken with slices of fresh mango and ginger and serve it in a delicious basket made from deep fried shredded taro. I’m on the look out for the properly shaped Chinese wire basket/strainers so that I may recreate this restaurant style dish at home. 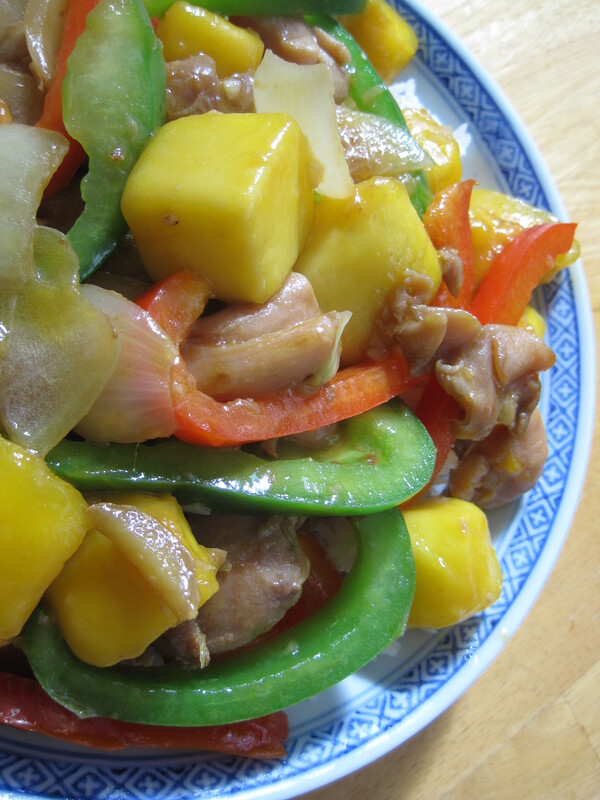 In the meantime, I make a homestyle chicken and mango stir fry with bell peppers for added crunch and colour. Feel free to use whatever vegetables you happen to have on hand.